R&Ps Post FA and trade MOCK! 1. Cleveland: Sam Darnold- I believe it's set in stone. 2. NY Giants: RB Saquan Barkley: Giants are not reaching for a QB. I believe they still might see what they have in Davis Webb or go the old school route and take a guy like Jackson or Rudolph and develop. 3. NY Jets: Josh Rosen QB: Rosen is ready to play now and I believe that is who they have their sites set on. 4. Cleveland: Bradely Chubb DE: Browns may look to move but they are able to land the top QB and possibly the 2nd best player in this draft. 5. Denver: Denzel Ward CB: This is a tough one. Have they given up on Paxton Lynch? And who do they value at the QB position to take at 5? I was tempted to give them Josh Allen here, but I don't think it happens. Elway won't reach for a QB at 5. 6. Indianapolis: G Quenton Nelson: Indy is desperate for OL help. And won't trade down. Why: Bucs get the guy they want with ease. I was tempted to give them Davenport and have him develop behind Curry, Spence, and JPP. James is a playmaker that can matchup with RBs, TEs and slot WR and can bitz. He's our version of Cam Chancelor. Why Hernandez? Bucs complete the "process" of overhauling the OL. Hernandez is slated to be a late first-early 2nd. I can't see him being there at 38. Hernandez is a beast and an interior line of Marpet-Jensen-Hernandez gives us a power run game. 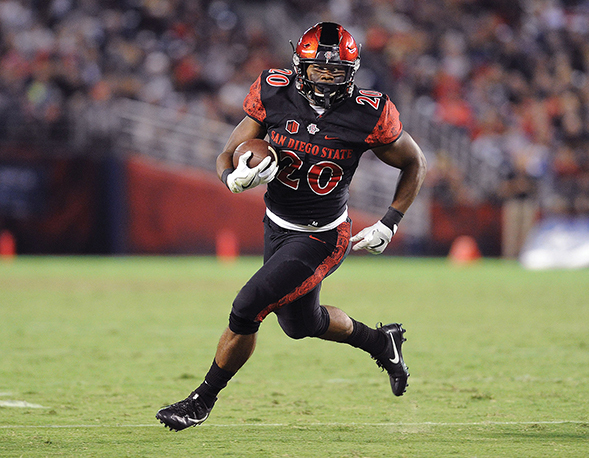 2nd Round: RB Rashaad Penny San Diego State. - Solidy the OL and now you get yourself a dynamic RB to who is physical, has good vision and can hit the home run. Excellent pick here for the Bucs. Chubb is another guy I look at but I don't see the explosiveness on film as I do with Penny, who does have less tread on the tires than Chubb. - Bucs have met with Campbell and like his size speed and ball skills. 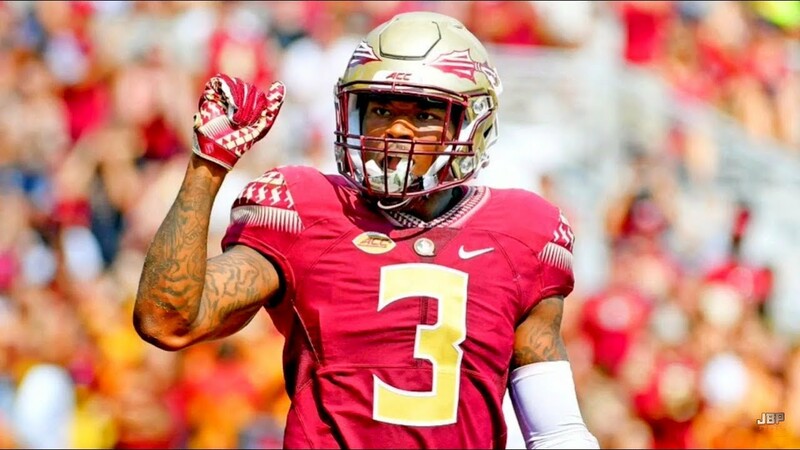 He may not start on Day one but hes an intriguing prospect who can challenge for the outside CB spot. - Bucs add depth to the edge rush with Frazier who can be a part time player. Bucs continue to add depth to the DL. Fatukasi can play the run and pass well. One of my sleepers. - I've read somewhere the bucs may be looking for a developmental back qb prospect as there are rumblings Ryan Griffin may not be that guy. Benkert has some quality tools to develop into a quality back up to Winston. - Bucs take a receiver with speed to compete for KR/PR and 5th/6th receiver role. I like this one too. I'm starting to really like Penny. He might be the guy I want if we miss out on Barkley. He’s just a natural instinctive runner who has the talent to match the vision. He's also the kind of RB who turns a loss into a gain of one. And plays like that happen all the time. I think it's a really underrated thing. Love it. No issues at all. All picks make sense and fall in line w/ projections. Nice job. Very realistic too.